Top Left - Restoration and new panels , Juvenile Dobby set. Top Right - Detail of showman's wagon ceiling panel. 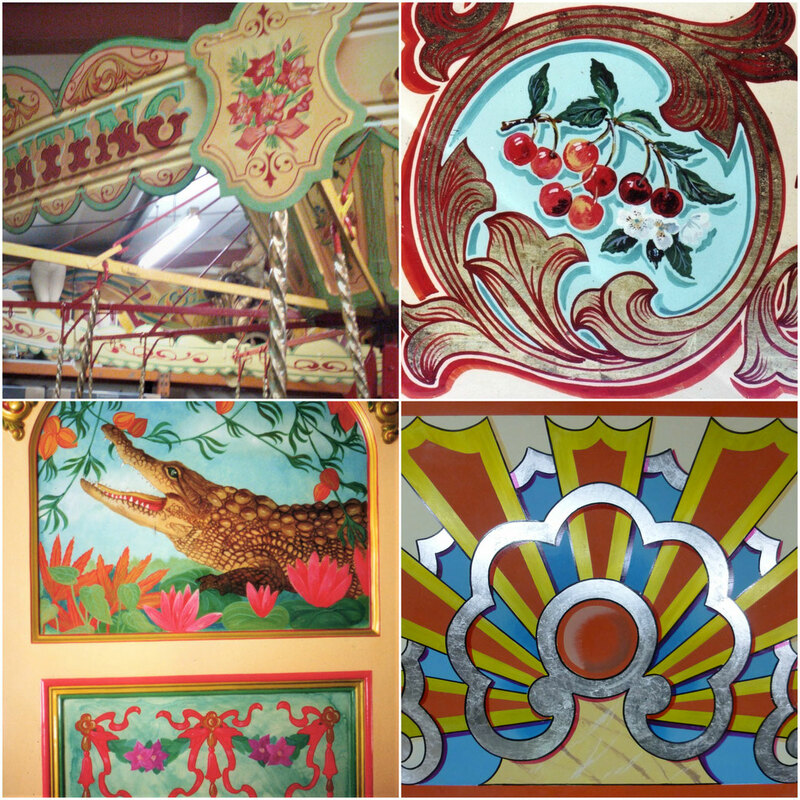 Bottom Left - One part of the entire decoration of Anderton and Rowland Gallopers. Bottom Right - Panel from side joint in the black Country Living Museum, Birmingham. Top Left - Detail of bargeware money box stool. Top Right - Rounding boards. Bottom Left - Canvas Floor cloth. 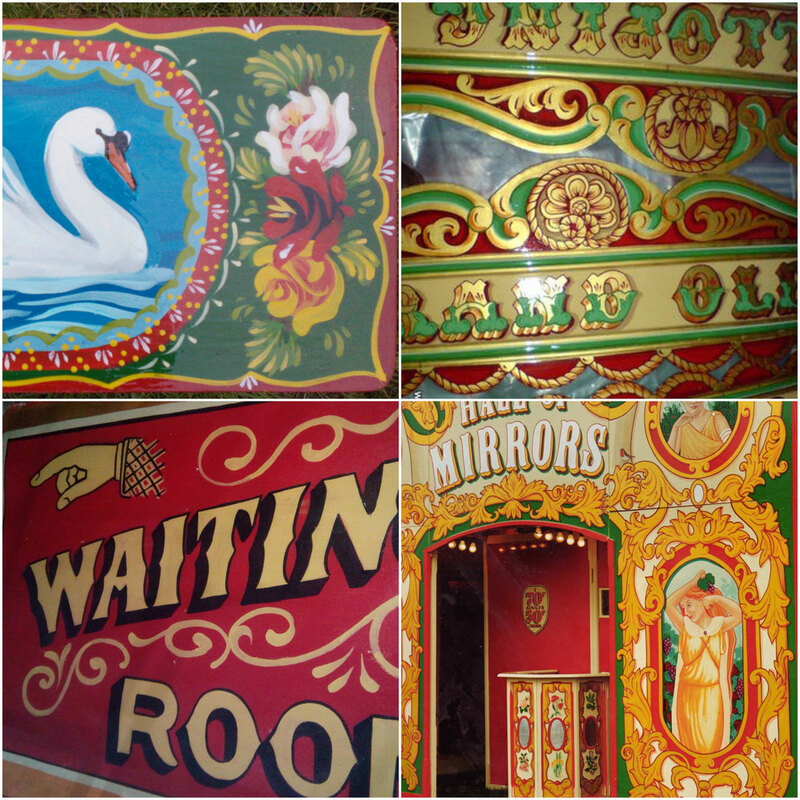 Bottom Right - Andrew Harris's Hall of Mirrors, Carters Steam Fair.